A lunar eclipse is one of those events that can not really be experienced through a photograph. Our lifelong exposure to images of some natural phenomena seem to undermine certain experiences. Have we missed anything if we can see a photograph of it the next morning? This eclipse coincided with the winter solstice on a cold and windy night in New York City. 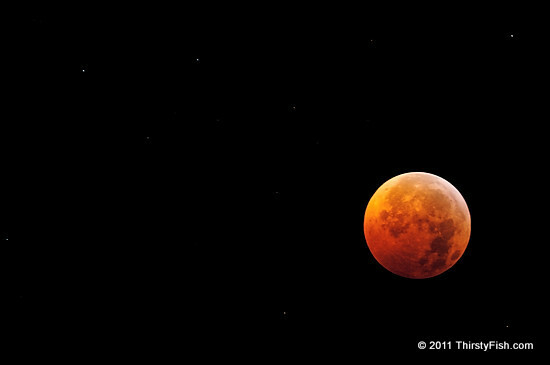 Try the Mr. Eclipse page for more information about eclipses and photographing eclipses.